As I've written on a few occasions in the past, PCLinuxOS is probably the best small distro around. It shows what can be done by a small development team, with limited resources. Not a simple deal, especially when you go against big companies with lots of money. Still, it never quite managed to break through into the big league. There was always a bit of homebrew that would not make it reach the critical mass of users. 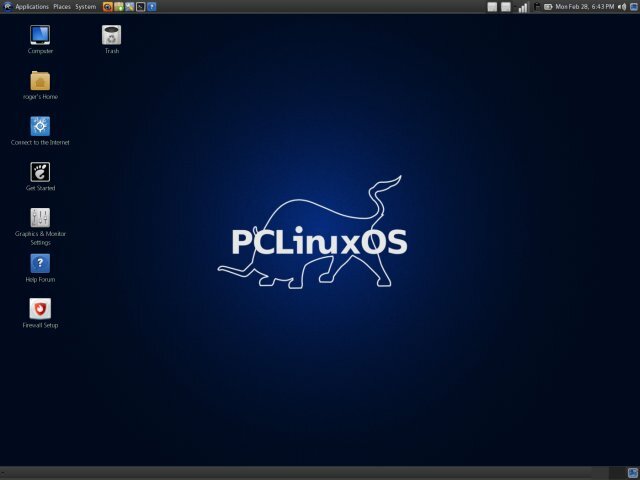 Over the years, PCLinuxOS showed a steady improvement, including hardware, the look and feel, the choice of programs, and more. 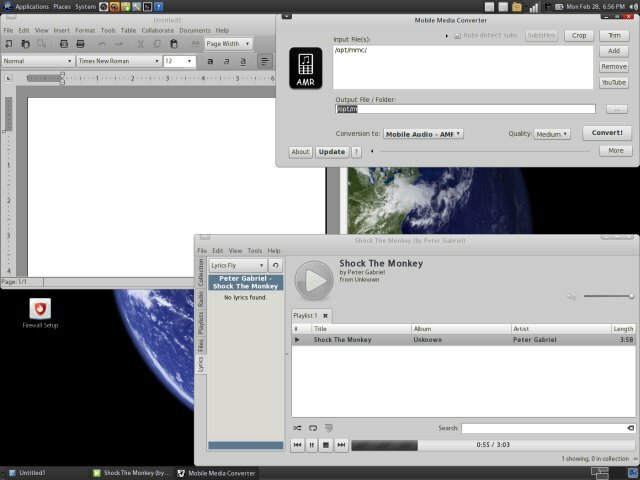 Gnome always took a backbench compared to the mainstream KDE version, but it was a stellar work of art in the 2009 release. Well, it's time to see what the Gnome edition offers, once more, almost two years later. Tested and deployed on a 32-bit T60p machine with 2GB RAM and an ATI card. There's only one question asked before you reach the desktop. You just need to setup your keyboard. And then, you enter a dark-themed session, which has subtly hinted KDE motifs, with a more square kind of look. I found the blue rectangle reminding of the root and guest passwords a bit distracting. A simpler solution would be to place a text file on a desktop. 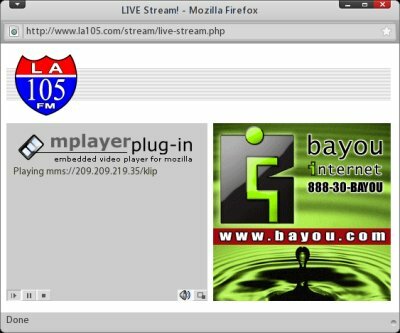 The network setup is a weird blend of Mandriva-like legacy and modern management, although I'd have preferred a simple point-and-click approach like the one used in stock Gnome sessions. I have to admit I like the new theme. While the panels are a bit dark and a softer shade of blue would have worked, the windows decorations and the fonts are suave. The blend of dark red and black creates a smooth atmosphere that softens the somewhat rough and straight-edged first impression. Well, not all is rosy, I'm afraid. 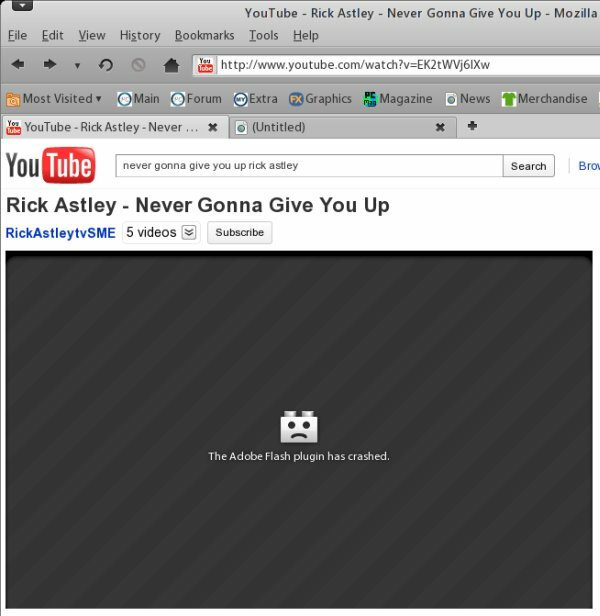 The Flash player in Firefox crashed once when trying to play a video. I have to admit I've rarely seen this happen, almost never, in fact, so this was a sort of a jarring jolt to the kidneys. 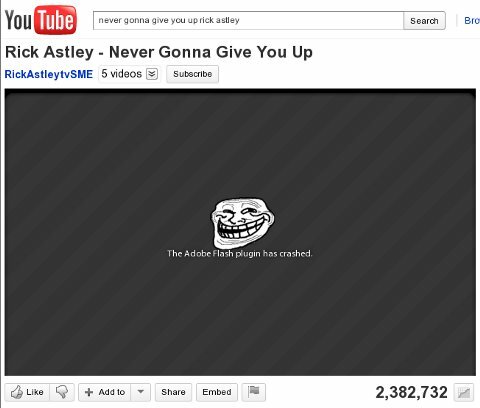 A Flash crash, and no less when playing Rick Astley. This might be a sign from above. 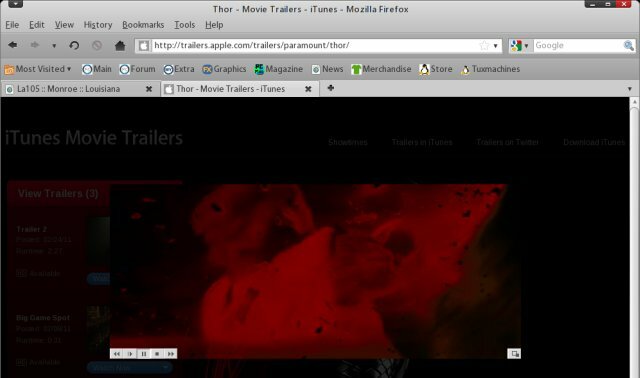 I got trolled by the browser. Note: Trollface image taken from deviantART, courtesy of Whynne. This was another disappointment. I could not listen to multiple audio streams at the same time. 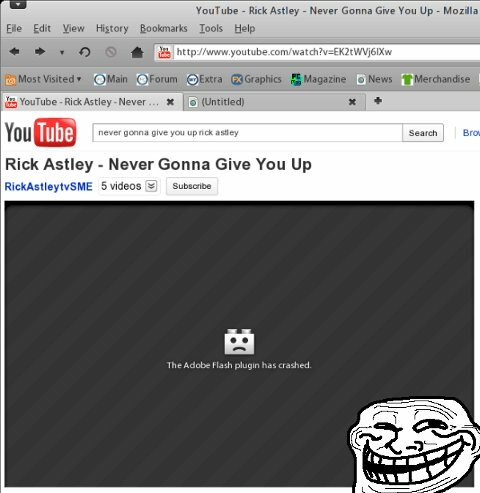 Playing Youtube would mute the MP3 playing in the background and vice versa. I got a mail from a user asking me to check Apple trailers, which are also known as iTunes movies, encoded as QuickTime or something, normally suffixed as .mov. All right, so in addition to checking Microsoft Media Service (MMS), I decided to scribble this onto my distro review list, as well. Anyhow, the trailers at Apple played badly, with a twisted color spectrum that looked like an ancient VHS of the Predator movie. So something is missing here. At this point, I decided to commit the distro to disk and continue checks later on. I have to say the installation feels bland, especially if you've followed my reviews in the last year. The installer behaves like something from 2005, and frankly, it has not seen too much change since. However, the partitioning was superb. 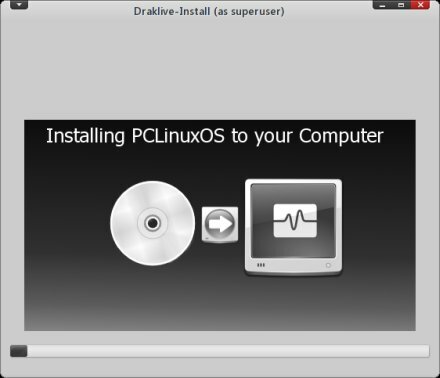 PCLinuxOS automatically recommended using the free space on a disk already taken with Windows 7. At no point did I specify what partition layout I wanted, and it was created in the smart and safe manner, with separate root and home, which is neat. This is very similar to openSUSE installs. The partitioning happens immediately, so choose wisely. You do get a warning. But after that, the distro files are copied to the disk. 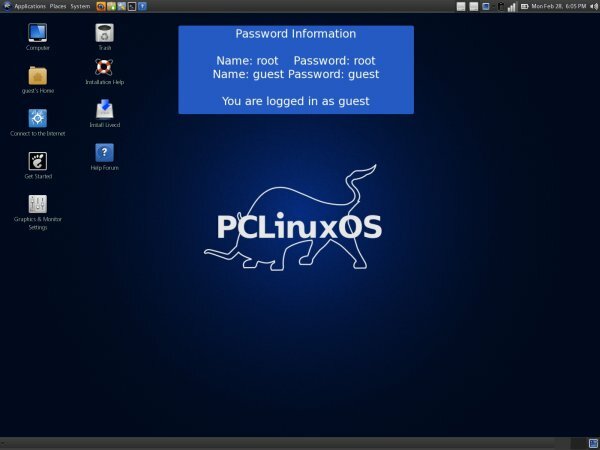 In a way, possibly intentionally, PCLinuxOS mimics a typical Windows 7 installation, which is fairly quick and step-less, but not really intuitive or safe for the average user. Once this step is complete, there's the bootloader setup. So you may say that PCLinuxOS has the best of all worlds - and the worst. It requires user interaction several times during the installation, so it's like Windows 7 or openSUSE. It has smart partitioning, again like openSUSE. 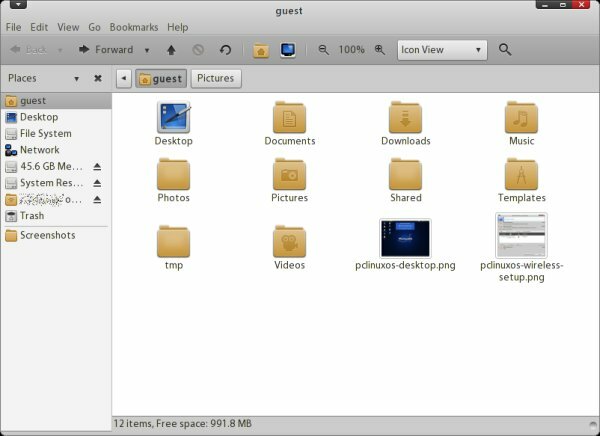 On the other end of the spectrum, Ubuntu is more inviting and streamlined, but the partitioning could be simpler. The dual-boot system was setup without any problems. Now, it's time to see how well PCLinuxOS really is. 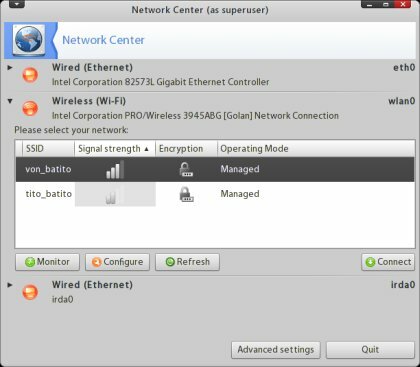 The lack of a dedicated 64-bit version is a sore point, but most people won't know the difference, especially if they go for a PAE kernel. If this sentence makes no sense to you, just ignore it. A decent and colorful arsenal, with lots of everything, but not as impressive as it was in the 2009 release. On the plus side, the collection is more mature, toned down for a wider general use. 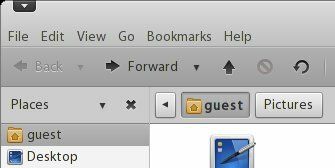 You get Skype with bad panel icon integration, Tucan Manager, some program that looks like a black rectangle, AbiWord, Mobile Media Converter, Exaile that would not load lyrics, GIMP, Firefox, and a handful more. OpenOffice is not included, but there's a script for installing. On a downside, while PCLinuxOS packs a mighty bunch, it also includes a fair deal of unnecessary programs. Most of the repertoire is good and useful, but some of it is just plain an overkill of enthusiasm. 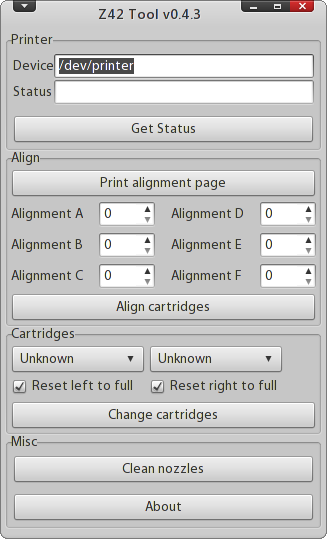 In an attempt to make the friendliest distro yet, the developers have bunched in a collection of helper programs for printers, including Lexmark and Epson. But rather than allowing users to easily connect their peripherals, they endure a confusing embroidery of geek weaves. For most people, /dev/printer is like saying coffee-flavored enema. Clean nozzles makes it even more obvious than you might have expected. There are also programs that will die if you try to launch them. 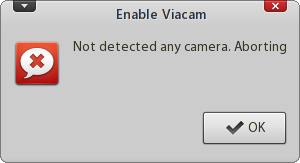 One of these is Viacam, which seems unneeded if you use Cheese. But even so, why die if there's no camera? Now, notice there's no period after Aborting. Not nice. Hurts my OCD. I could not get Compiz running, even though the graphics card was properly identified and initialized. 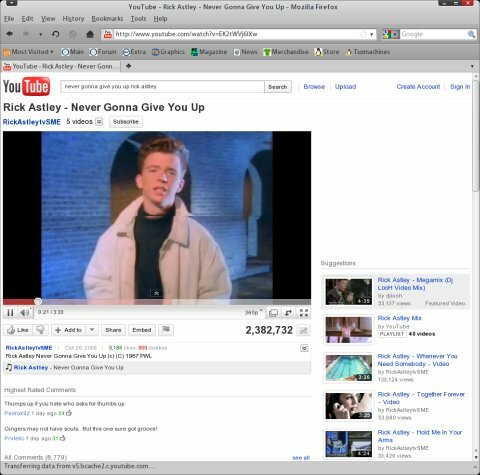 Furthermore, PCLinuxOS would not let me project the desktop or spread it across two monitors. In addition to some of the issues and glitches seen in the live session, there were a handful more plaguing the installed machine, smelling of missed opportunity and incomplete quality assurance, which has always been the Achilles' Hell of small distros. There's no reason to copypasta Windows. No one expects PCLinuxOS to be a linear translation of Windows. 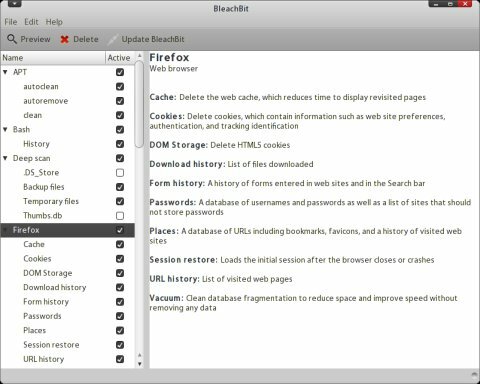 Therefore, no need for half a dozen system cleanup tools that are sort of like registry cleaners for uneducated. Not only are they completely unnecessary and waste space, they pose a serious risk. Clueless and eager Windows converts will gladly apply their old habits and ruin their machine in an attempt to solve the unsolvable. 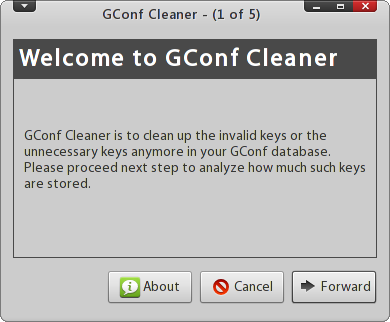 We will have a separate article on why Linux housecleaning is wrong. So why list something that's not installed? While the default theme is really nice, some of its elements have been taken to an extreme. A good example is the terminal window font, which looks chopped and unreadable. Say you want to change the dark blue wallpaper to something else. No worries, but some of the default choices are plain wrong. One of these is a glaring white-gray background that just makes your eyes hurt. White fonts on white background, bad. Unfortunately, I do not have an image to show you this. You shall have to trust my word. 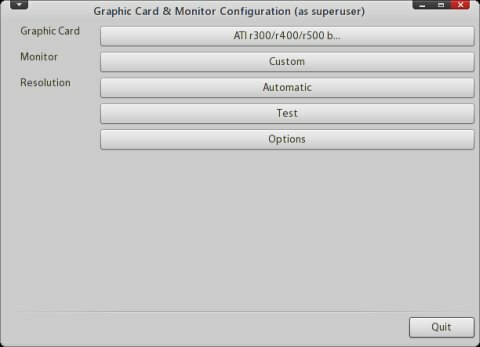 I tried editing the GRUB menu, in order to change the boot order of the listed entries. For some reason, PCLinuxOS did not like this and hiccuped an error. Well, at least, it did not spew a ton of useless verbose junk code at me, which is a relief. The biggest issue was the broken package manager. 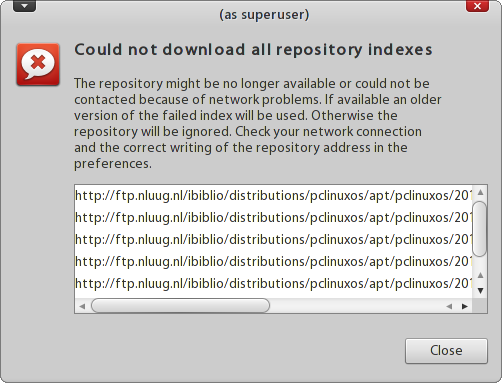 It's not that Synaptic or the underlying apt architecture do not work, it's the combination of badly chosen and unsigned repositories and broken configurations that make PCLinuxOS package management a big fiasco. 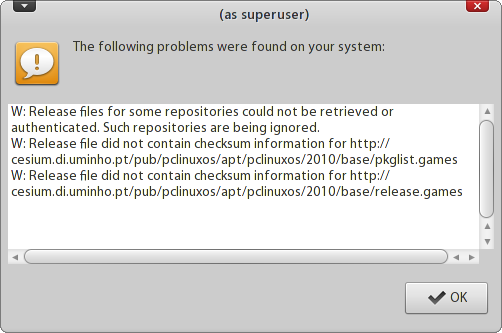 I remember testing PCLinuxOS the first time and complaining about the repositories. Well, it seems the old errors are back to haunt me, but it's been a handful of years since, so this kind of problem is simply inexcusable. It just ruins the whole deal. PCLinuxOS 2010.12 is not as good as the spring edition. There are just too many errors, most of which could have been solved by a more careful system validation. After all, few or almost none of these showed up in the last two releases I've tested, so it's nothing inherent in PCLinuxOS that is bad, it's the integration of parts done in a sloppy manner. A bodge work, if you like, which fits nicely with my username, Roger Bodger. At the end of the day, PCLinuxOS worked, but it was scarred. There's no benefit to its default scheduler, most people won't notice or care. The 32-bit only architecture is not a dealbreaker, but it projects a certain reputation. Multimedia problems are a sore spot. But the worst thing is the package manager. You can't really enjoy your Linux without it. I like PCLinuxOS and I hope it will break into the big league one day, but the Holiday release just shows how difficult this task is, without immense resources to check and double-check every little thing. 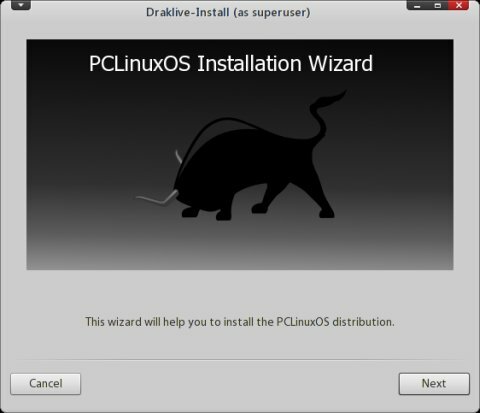 Now, since PCLinuxOS is a rolling release, you can safely install an older edition and then upgrade it to the latest patch level, which is what I'd recommend. 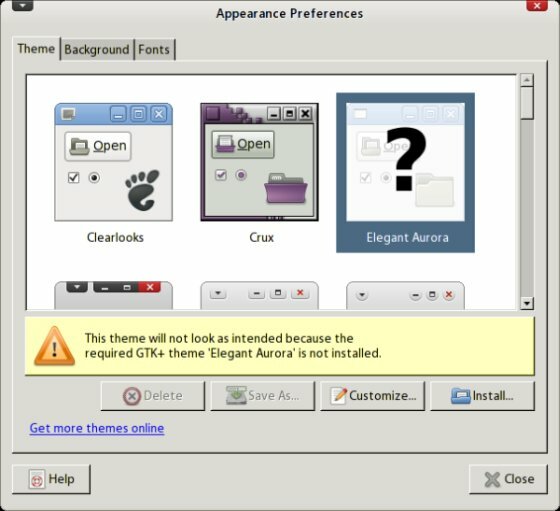 For me, PCLinuxOS 2010.12 Gnome is a missed opportunity.